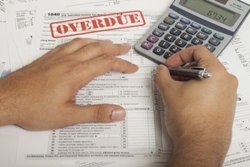 Are you behind on filing your taxes? When you turn to Stuart C Hill Jr., CPA, PLLC for help filing your delinquent tax returns, getting up to date is easier than you think. Whether you have a tax refund to claim or end up owing back taxes, we’ll provide the personal attention and guidance that will make the process as painless as possible. We’ll assist you in obtaining income forms like W-2s and 1099s, locating mortgage interest statements, and gathering any other critical documentation needed to accurately calculate your taxes. Then we’ll prepare and file your tax returns, being mindful of any deductions or credits available. No doubt, getting up to date on your tax returns will be a huge relief, but if you do owe the IRS back taxes, don’t be alarmed. Once your tax returns are filed, there are a variety of payment plan options and tax relief programs you can take advantage of to pay off your tax debt. 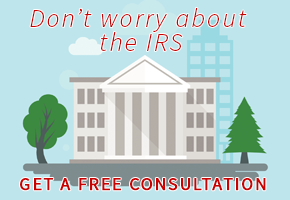 At Stuart C Hill Jr., CPA, PLLC, our tax professionals are experienced in negotiating with the IRS to apply for an installment agreement or prepare an offer in compromise to pay off your tax debt over time. Whenever possible, we'll also get interest and penalties reduced. And, when appropriate, we can assist you in filing for penalty abatement, currently not collectible status, or some other form of tax relief. Remember, ignoring your unfiled tax returns will not make the problem go away. If you owe back taxes, don’t wait until the IRS comes after you, be proactive by contacting Stuart C Hill Jr., CPA, PLLC at 817-332-3320 today to get started or request a consultation online. We offer quality tax preparation services and will provide the direction you need to resolve any tax problems. We work with businesses and individual taxpayers in the Fort Worth, TX area.